American Apparel recently introduced its ‘Forward’ line as a collection of styles made from performance-friendly, lightweight materials with a focus on holographic fashion. In the clothing collection, there are a range of pink, blue and silver holographic styles for men and women that are budget-friendly and available in sizes that run from XS to XXL. 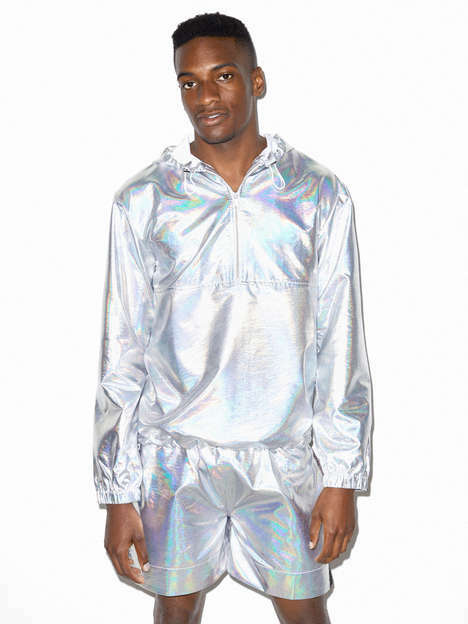 Some of the standout holographic fashion styles include the Forward Fly Half-Zip Hoodie, the Fly Muay Thai Short, the Metallic Singlet and accessories like the Mesh Fanny Pack, which help to add color and dimension to one’s athletic style. To showcase the styles from its newest line, American Apparel worked with a diverse range of models like Paralympic athlete David Brown and Mexican-Guatemalan yoga instructor Luisa Fonseca.